Kangertech TOPTANK EVOD 1.7ml tank has 14mm diameter.VOCC-T 1.5ohm includes in the tank, which can give you special smoking experience. 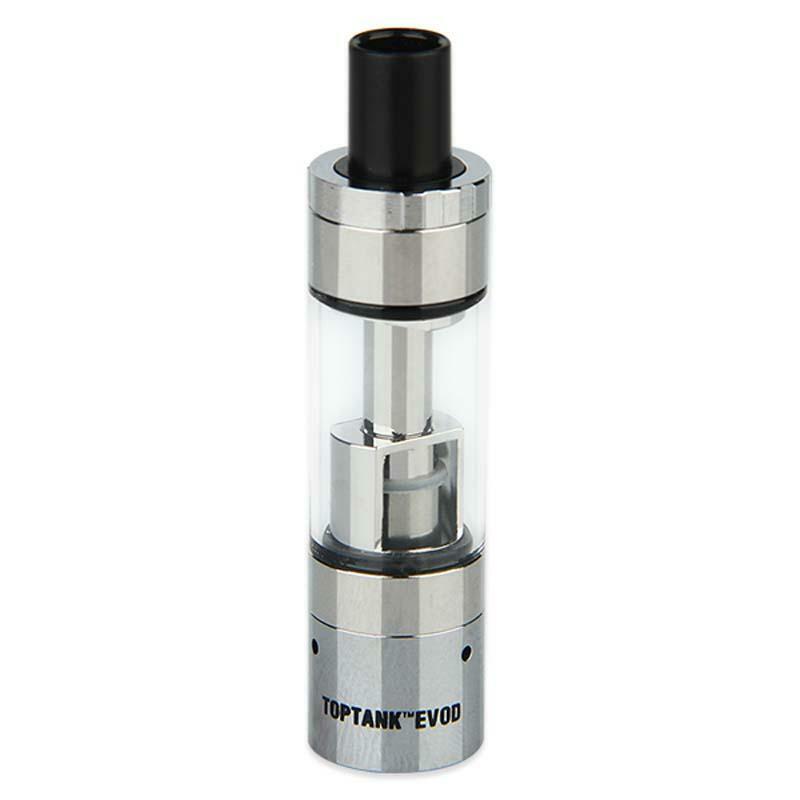 Kangertech TOPTANK EVOD 1.7ml tank has 14mm diameter. The top filling design makes the liquid adding more convenient and easier. You can remove the top cap, easily fill e-juice in. The whole device is small in size and light in weight, easy to carry. It features eGo thread, fit most eGo thread electronic cigarette batteries. VOCC-T 1.5ohm includes in the tank, which can give you special smoking experience. Remove the top cap, easily fill e-juice in. When flavor and /or vapor are reduced, it's time to change the atomizer head. To replace the atomizer, remove the tank from a battery and turn the tank upside down; unscrew the airflow base and carefully set the tank aside; unscrew the atomizer unit counterclockwise; once disassemble, discard the used head and replace a new VOCC-T head; screw the new head back onto the base. • eGo thread, fit most eGo thread batteries. • Compatible with VOCC-T coil head, VOCC coil and Upgraded dual coil. Great little old school tank but fits the hand made naturevape procoils so is fantastic MTL tank.Fast and high quality! I recommend! Kanger TOPTANK EVOD Clearomizer makes me vape less and less traditional cigs, reduce the amount of vape by half, and help my body health.